I have reached India and a pleasant surprise was waiting for me. Gopichan had made a book out of my blog! He has even added a few simple things and some pictures which made my book grand. 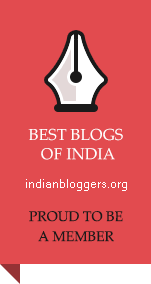 I have got lots of comments from my relatives and from people of far-of-places saying that they loved my blog. My family keeps encouraging me.